One of our country’s most historic national monuments is the Statue of Liberty in New York City. Drawing over 4 million visitors a year, Lady Liberty was given to the United States by France as a gift of friendship. That’s one heck of a gift, huh? But she wasn’t given to our country to just stand there, looking pretty. No, she’s much more than a statue. She’s one of us. She’s a symbol of freedom, the embodiment of hope, and a solid reminder of the endless opportunities presented to all of us in the United States. 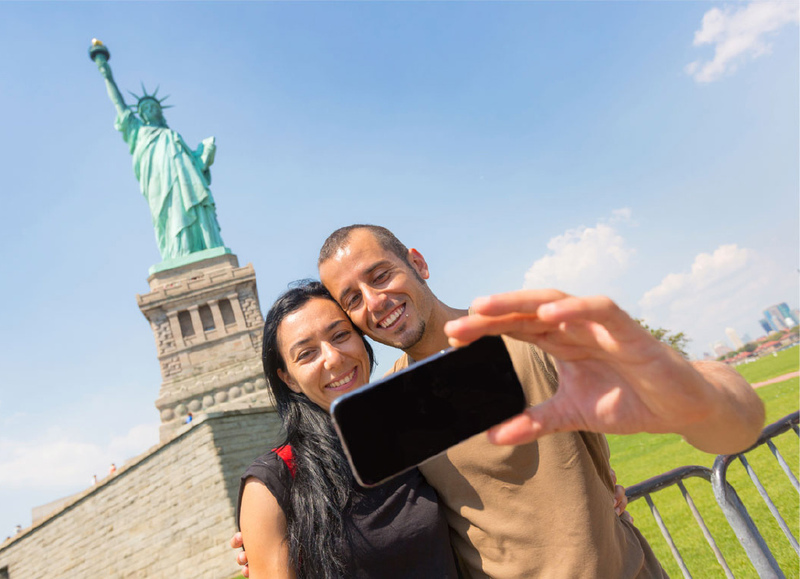 Thousands of tourists travel each day to visit the Statue of Liberty. But how many of them know about Evelyn Hill, the cafe and gift shop concessionaire on Liberty Island? Chances are, not that many. Wanting to change that, Evelyn Hill partnered with our Miami advertising agency in hopes of increasing brand awareness for their third-generation business. The story of Evelyn Hill is a memorable one, beginning with World War I veteran Aaron Hill. During his time stationed at Fort Wood, the very structure that the Statue of Liberty stands upon today, he watched the U.S. Army sell souvenirs to civilians. But in 1931 when the Army discontinued these sales, Aaron saw a perfect opportunity for a new business. 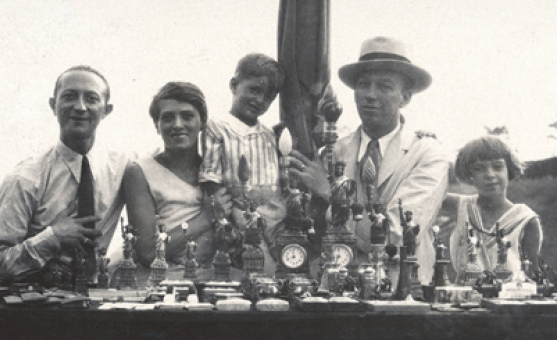 He opened a small souvenir stand on the tourists’ arrival pier, and he named it after his wife, Evelyn. When Aaron passed away, he left his wife with the responsibility of running the family business, and she quickly gained a reputation as a hardworking entrepreneur. Beloved by tourists and locals alike, Evelyn was known for going above and beyond in everything she did to ensure that her customers were well taken care of. That’s the legacy she left behind. Today, the thousands of people who travel to visit the Statue of Liberty have the opportunity to dine in Evelyn Hill’s indoor restaurant, the Crown Cafe, and purchase thematic souvenirs in their expansive gift shop. Guests can sit down, relax, and enjoy a fresh delicious meal during their travels, then browse through this historic gift shop that began over 85 years ago with Evelyn & Aaron Hill’s single push-cart. So what do you do when you find a gem like Evelyn Hill? You make sure people know about it. Here’s how we did that. 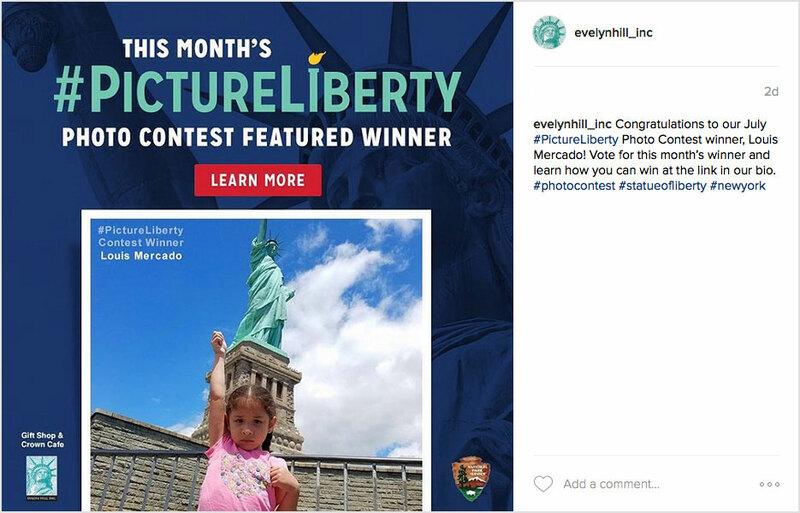 BlackDog Advertising collaborated with Evelyn Hill and the National Park Service to promote the #PictureLiberty contest, a monthly photo contest allowing visitors to share memories from their visit to the Statue of Liberty. 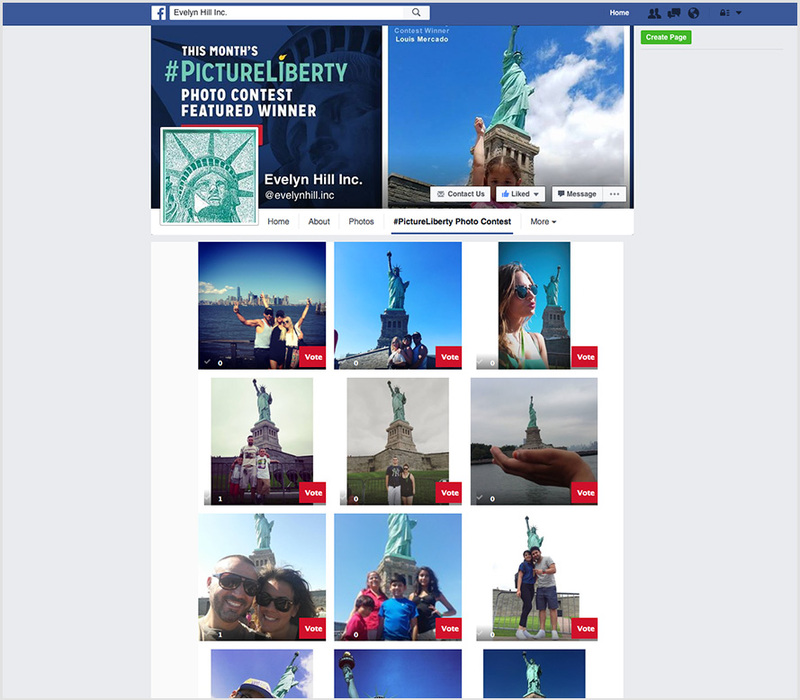 Through a variety of traditional, online, and social media channels, and by leveraging the large number of guests who consistently visit Lady Liberty, we got history trending in the online space, and we brought awareness to the gift shop and cafe on the island. 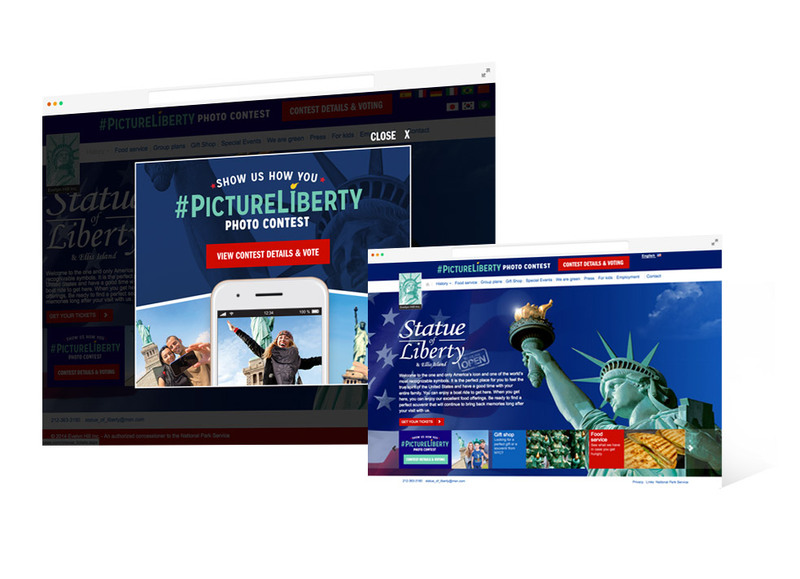 The #PictureLiberty contest is a simple concept. 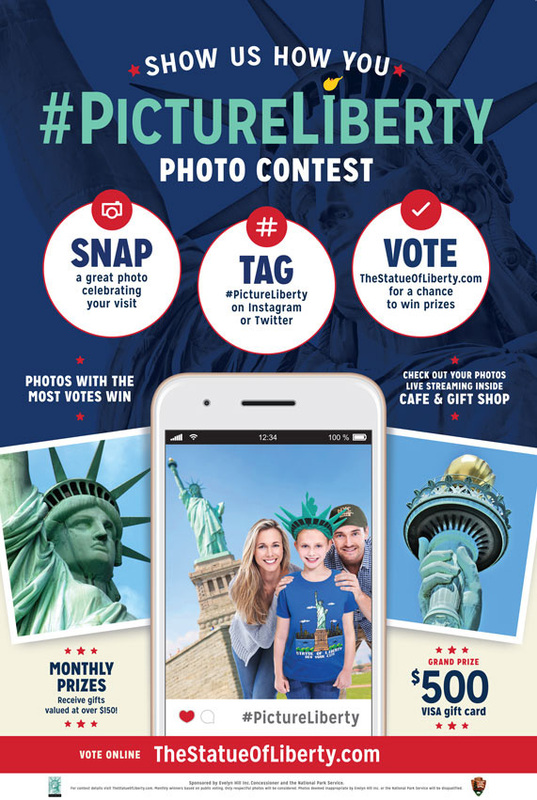 Visitors to the Statue of Liberty are asked to take a photo of the iconic national monument, tag #PictureLiberty, and share it with their family and friends on social media. 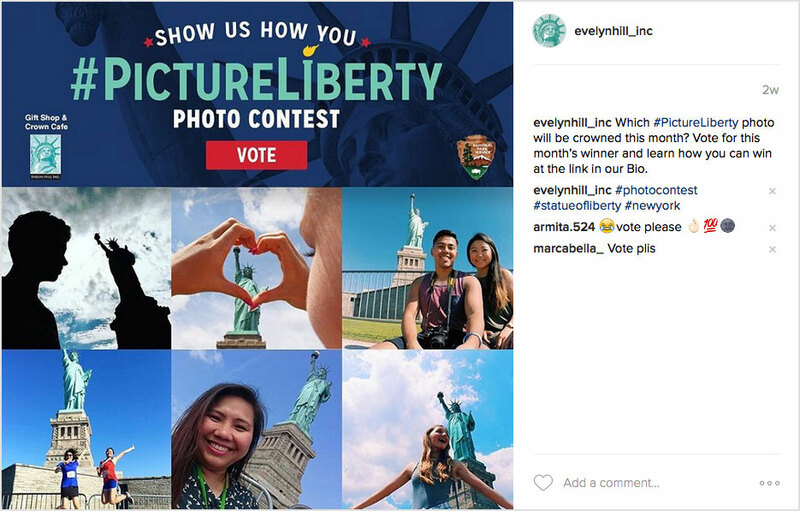 All of the photos are then automatically entered into public voting on TheStatueofLiberty.com and the @evelynhill Facebook page. At the end of each month, the photo with the most votes wins! Sounds easy, right? Well, it took some creative thinking to get there. At the inception of this campaign, we faced several challenges. 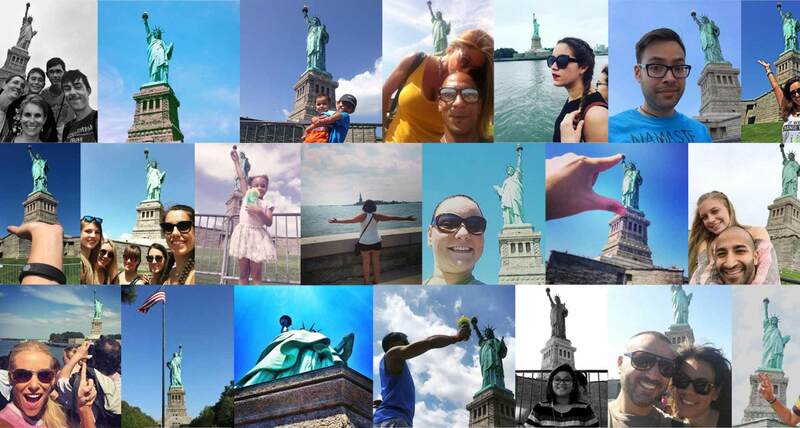 First we had to find a hashtag that was unique enough to track our efforts, while still paying homage to Lady Liberty. 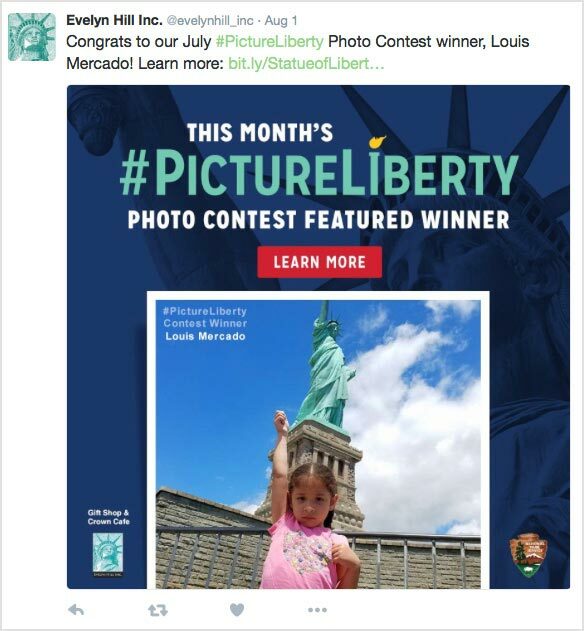 So why not use the hashtag #StatueOfLiberty ? A lot of reasons, actually. 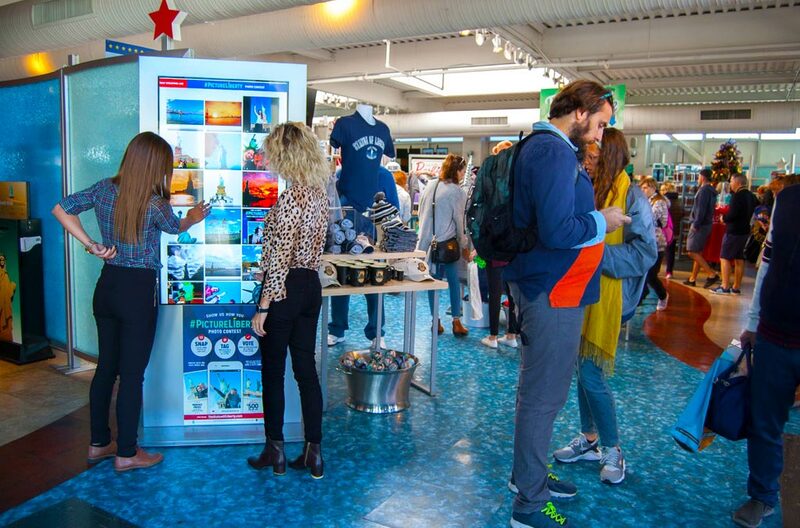 It had to be catchy enough to bring attention to the cafe and gift shop while still being something that people would remember and want to use when sharing their experience on the island. After some brainstorming and research, we came up with #PictureLiberty. 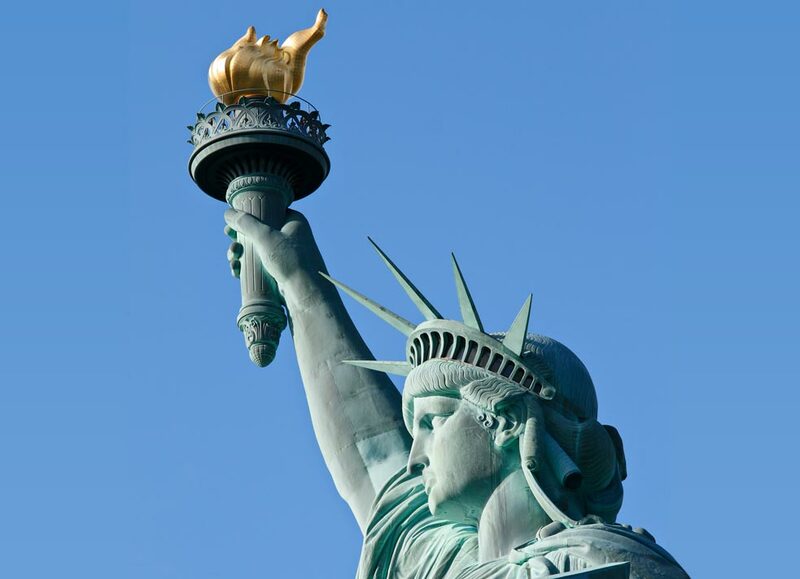 When people around the world “picture liberty,” many think of the Statue of Liberty, standing tall in the Big Apple. 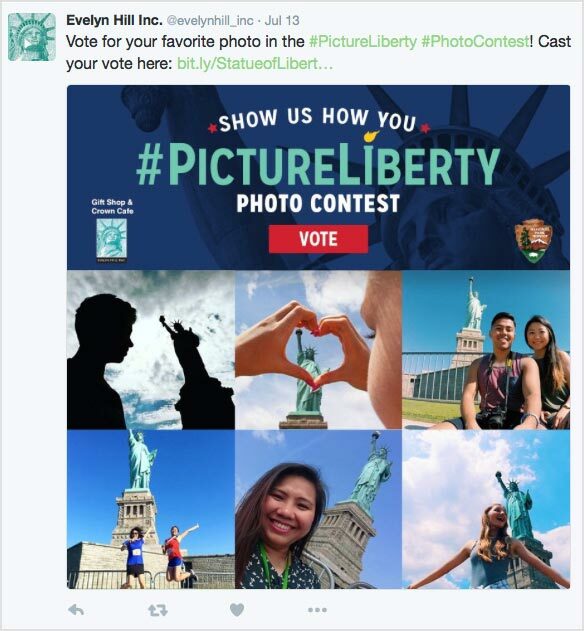 But our hashtag does not only represent liberty in a metaphorical sense, its literal meaning speaks to photos or pictures of the Statue of Liberty as well. Once we established our hashtag, we still had to find a way to connect #PictureLiberty with the Evelyn Hill brand. We started off by including sponsored messaging in all of our posters and displays. The posters were vibrant, easy to read, and the images we used were far from random. We created images that showcased some of the unique products and souvenirs available at the gift shop, further reinforcing the connection between the photo campaign and Evelyn Hill. After that, we set up live feeds to project the hashtagged #PictureLiberty photos. Through the use of a Google Chromebit, we were able to strategically place these live feeds in the gift shop and cafe. 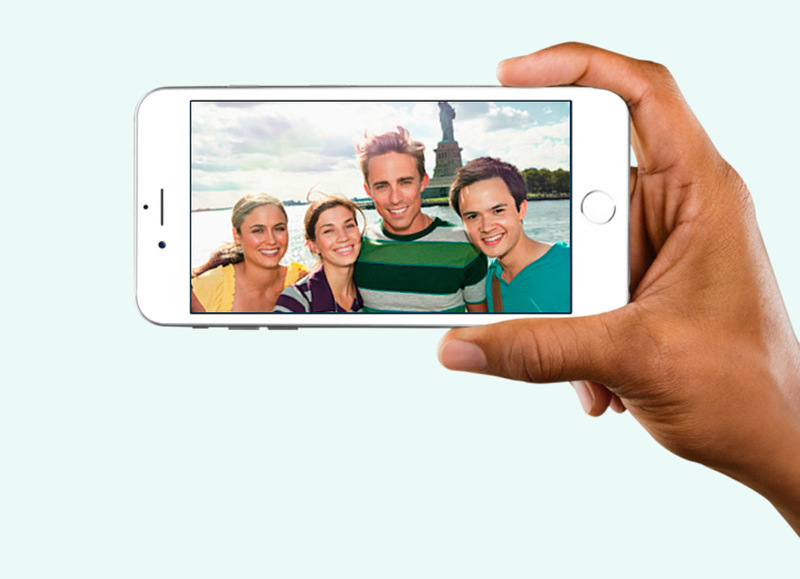 People could snap photos of the Statue of Liberty outside, then head inside to view them. This allowed them to experience the Crown Cafe and gift shop which they otherwise might have missed out on. Then there was the voting process itself. 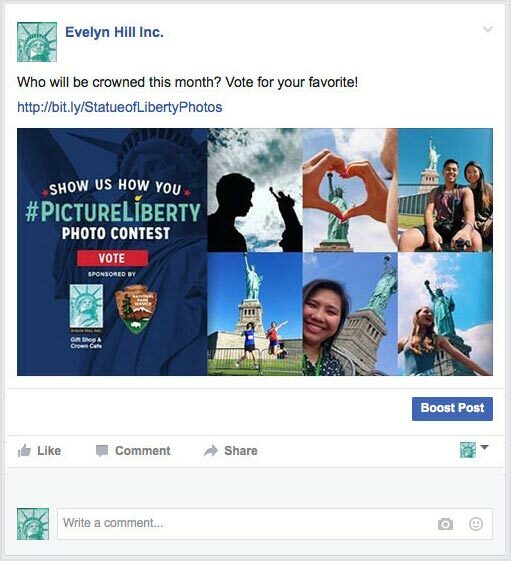 Participants were sent to the TheStatueofLiberty.com and the @evelynhill Facebook page in order to cast their vote. 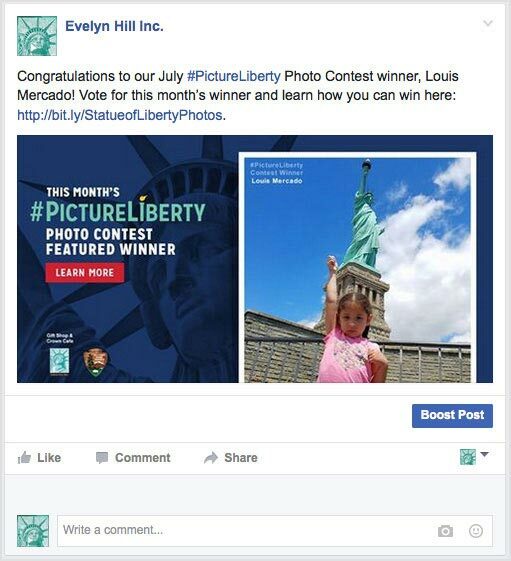 Once on the Facebook page, they had the opportunity to learn more about Evelyn Hill, and they were encouraged to continue sharing information about the contest with their friends and family. Add to that a beautifully-branded logo, and the connection between #PictureLiberty and the Crown cafe and gift shop was now established. The campaign went live June 2016, and created an immediate buzz on multiple social media networks including Facebook, Twitter, and Instagram. 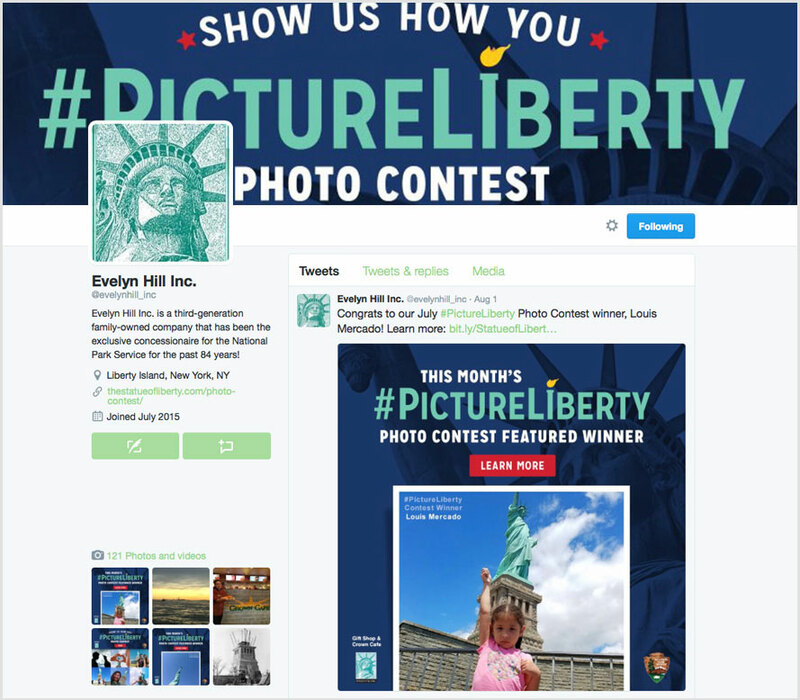 In three short months, almost 3,000 #PictureLiberty hashtagged photos were entered into public voting with over 17,000 votes cast. In addition TheStatueofLiberty.com website traffic increased over 220%. 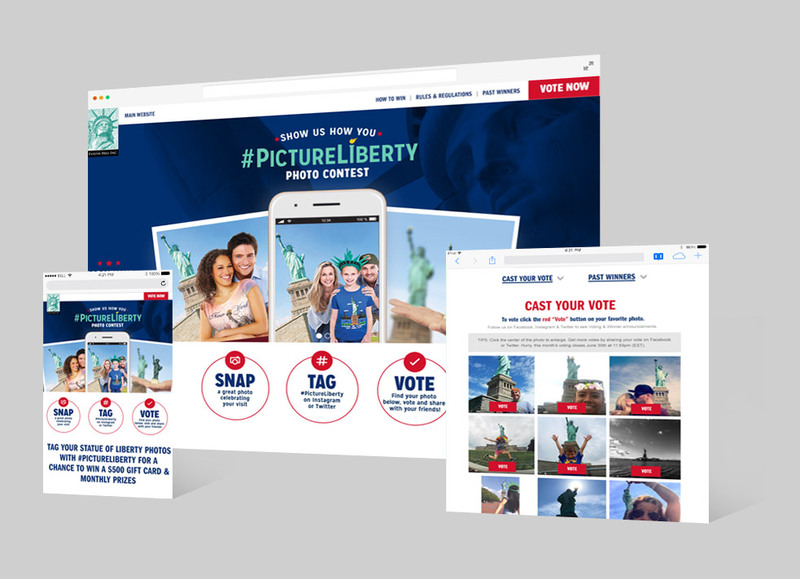 The campaign is ongoing, and we anticipate continued love and affection for our very own Lady as visitors continue to share how they #PictureLiberty.